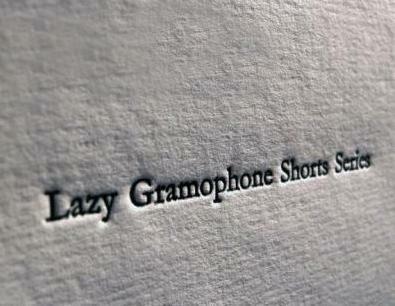 LG Shorts: Quasi-quarterly collections of illustrated short stories and verse. 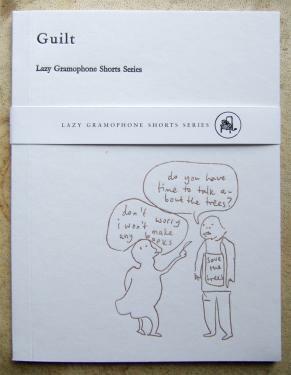 We have created the Lazy Gramophone Shorts Series in order to encourage collaboration between both our members and our audience; we see these books as a way to increase the sense of community surrounding Lazy Gramophone. With all the production done in house, these books are conceived, content collated and printed within six to eight weeks. We are currently publishing one or two official releases a year, but still we relish these 'quicker' projects that yield such fantastic work from the artists and writers involved. We produce each edition in limited numbers, only 50 copies of each are printed, something which we feel adds to the magic of it all. 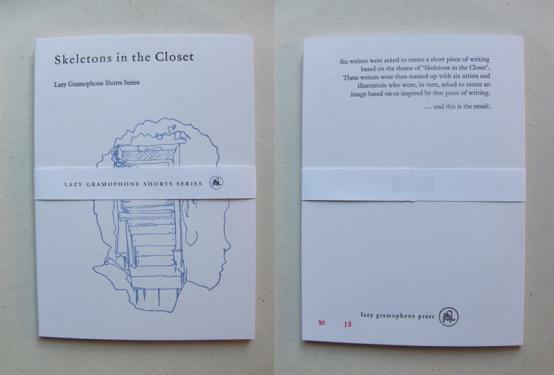 Another reason to produce these booklets is to indulge ourselves and to utilise the printing equipment we own. Each cover is beautifully pressed using metal type and metal plates cast from the original cover illustration. 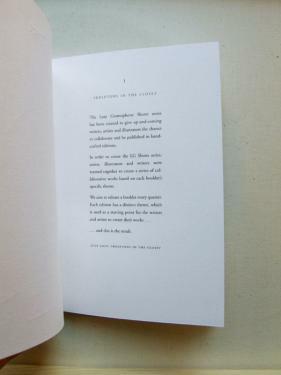 While the back cover synopsis is set in 12pt Monotype Garamond Roman and our logo pressed in black ink. 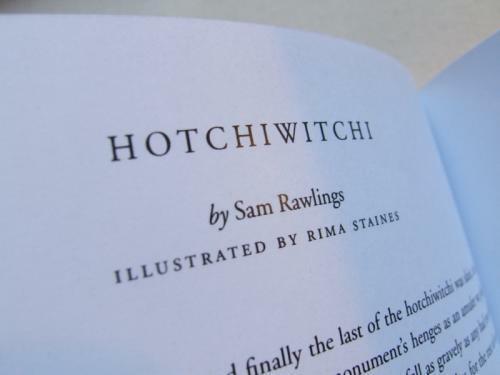 Each edition is numbered from 1-50 with red ink. Inside, the text is set by our resident typesetter Dan Prescott. With years of experience and razor sharp levels of quality, Dan takes great care over the formatting of the text. Beautiful design is easy on the eye and not always noticed, bad design jumps out at anyone, whether versed in that particular field of design or not. With text it is incredibly important that the lines run smoothly and that your eye can float along uninterrupted. 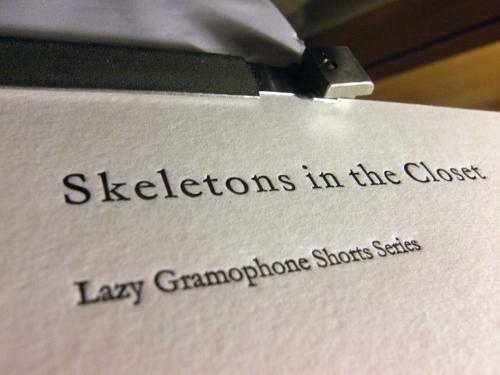 Tags for this post: shorts, guilt, skeletons, subscription.